He got his pilot's license before he could drive, his footsteps are still on the moon and his first words after touch down were ‘the eagle has landed’; we learn more about the travels of the fascinating Neil Armstrong. 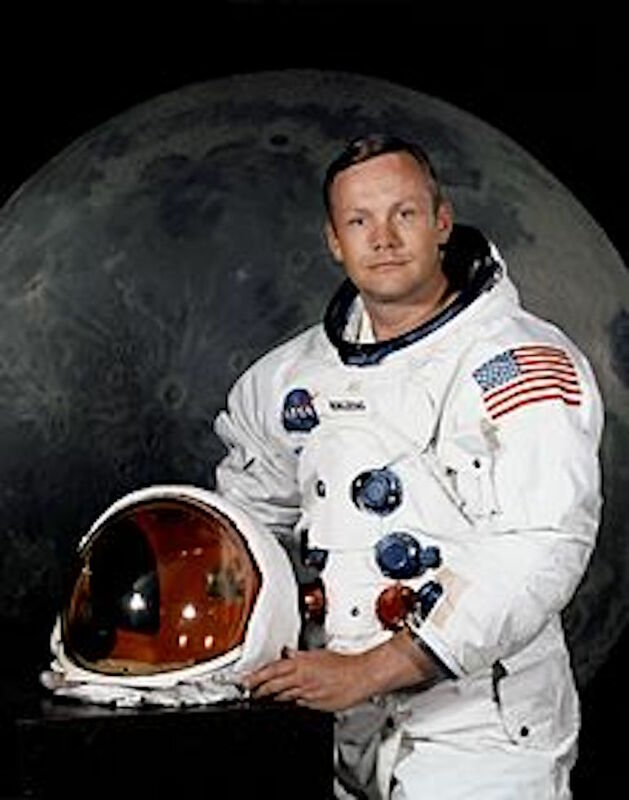 Born in 1930, Neil Armstrong was the eldest son of an Ohio couple, Stephen, an Auditor, and Viola Armstrong. Following a childhood interest in flying, he gained his student flight certificate at 16 before studying aeronautical engineering. He went on to fly fighter planes for the Navy and later tested experimental rocket-powered planes. These high stress, high danger roles got him noticed by NASA where he eventually became selected as Commander of the first mission to land on the Moon. What happened during His mission to the moon? On July 16 1969, following a hearty breakfast of steak and eggs, Neil Armstrong and his crew mates, Buzz Aldrin and Michael Collins set off in the 110 metre Saturn V rocket on their mission to the moon. It took 4 days to make the 200,000 mile journey to the moon. It was Neil's job to land the rocket, named the 'Eagle' safely. With just seconds of fuel left, he reported 'the Eagle has landed'. More than half a billion people watched live and Neil and Buzz took their first steps onto the moons surface, with Neil making the iconic statement 'that's one small step for man, one giant leap for mankind'. The pair spent 3 hours on the Moon's surface conducting experiments, taking photographs and collecting samples. They then rejoined Michael who had been orbiting the Moon in a separate module. The three astronauts then made their journey back to Earth, safely landing in the Pacific Ocean. 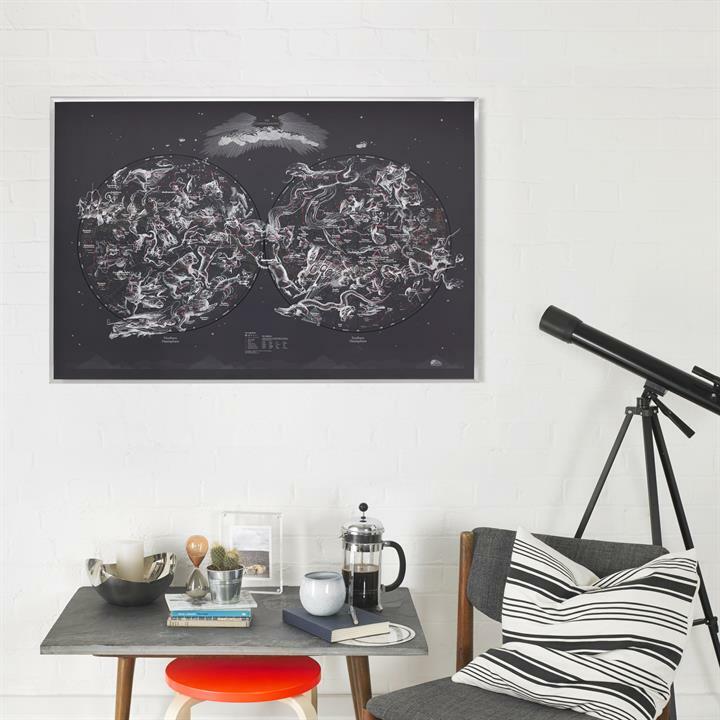 Celebrate Neil's 1969 mission to the moon with our stunning, and functional, celestial map. It shows all the planets, nebulae and stars visible from Earth - and probably the Moon too!